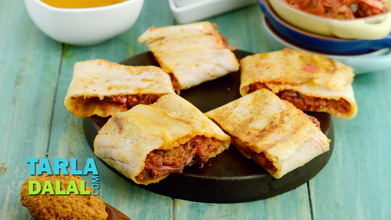 An interesting variant of the ever-popular dosa, these Quick Mini Soya Dosas are made with a combination of soya and rice flours. 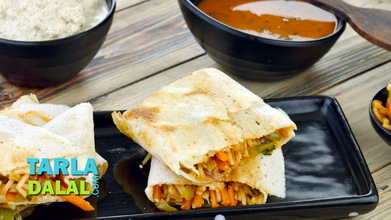 The best part is that it is made with readymade flours, and does not require you to soak or grind anything, not even the urad. 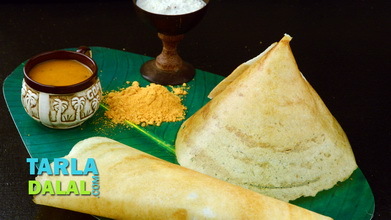 A sprinkling of fruit salt replaces the fermentation process, resulting in reasonably springy dosas, which are softened further by the addition of veggies like cucumber. 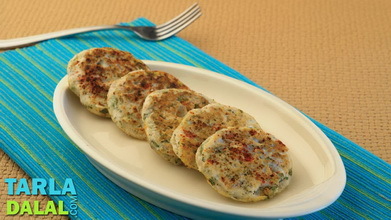 Kids and adults alike will love these sumptuous and tasty mini dosas, which taste great with coriander-coconut chutney! 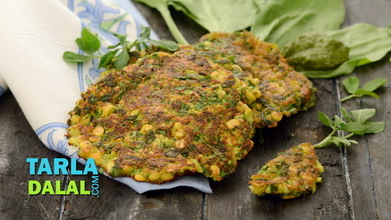 Combine the rice flour, urad dal flour and soya flour along with 1½ cups of water and mix well to make a thin batter. 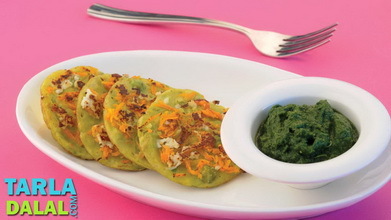 Add the cucumber, coriander, green chillies and salt and mix well. Just before cooking add the fruit salt and mix gently. 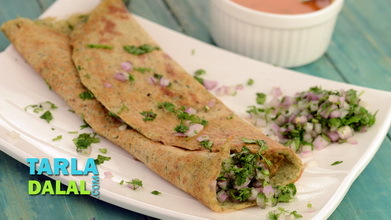 Grease a non-stick mini uttapa pan with a little oil, pour approximately 1½ tbsp of the batter into each mould and spread it lightly. 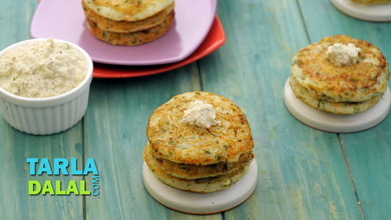 Cook them using a little oil, till they turn crisp and golden brown in colour from both the sides. Repeat steps 4 and 5 to make one more batch.